A well-made, beautifully edited wedding film will be able to bring your day to life again for years to come. 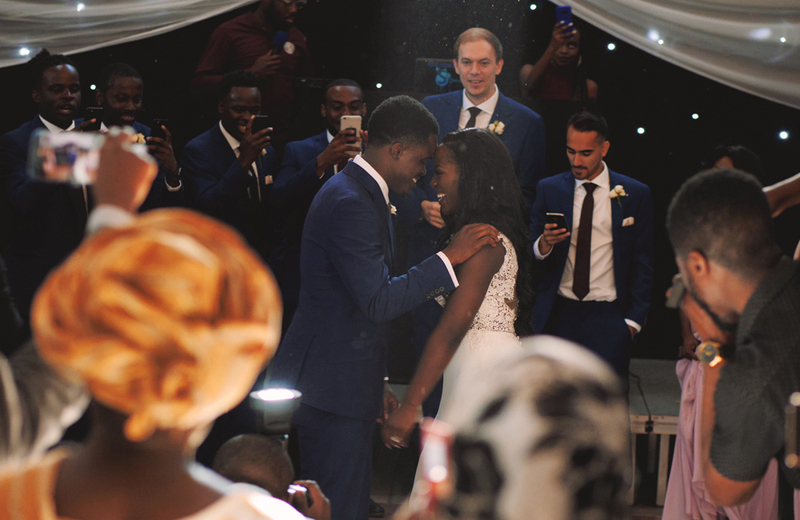 We can’t tell you enough what a joyous thing a wedding film is to possess. Time and time again our readers tell us they regretted not having one or that their film was the best investment they made. A great videographer will capture all those moments you didn’t get too see because you were too busy enjoying yourselves. A wise investment if ever there was one. Peony produce beautiful cinematic documentary films, capturing each moment of your wedding story in a timeless style, enabling you to step back into your wedding day whenever you wish. Absolutely gorgeous wedding films of cinematic quality, created with love by a husband and wife team who are passionate for their craft. Whimsical, candid and romantic. Absolutely beautiful, cinematic, honest and completely natural wedding films. We truly love Ben's editorial style - his films make for beautiful and moving wedding day memories. Adrian was one of the first film makers I ever worked with back in 2011. I've been smitten with his beautiful work ever since and I love the innovative SelfieWed method of your guests capturing your day. Oh my goodness, Wagtail Productions are wedding filmmaking geniuses! Have some fun with stop motion animation or indulge with a classic cinema look – whatever suits your style best will be yours. Some of the loveliest wedding films we've ever shared were captured by Tregoning Weddings - a fantastic choice should you be considering having your own wedding filmed. These two talented artists have a truly creative eye, capturing raw and real emotion and moments of adventure through the art of photography and film. Creative and classic in equal measures. Stylistic and emotive images from a photographer who loves to tell stories through her work. Sublime cinematic style - this is clearly a filmmaker who loves his work and who takes great pleasure in documenting days full of joy, love and tender memories. Filmmakers and photographers, the family foursome that make up York Place Studios are just all kinds of brilliant. They’re talented, creative and oh my goodness, they absolutely love their work. Bruce is passionate about creating beautifully crafted, timeless wedding films telling your unique story by capturing each moment of sheer joy, spontaneity and love. Talented and experienced, the Wedding Film Studio is really rather fabulous. Simon is always led by your day and your style and you’re absolutely guaranteed a unique and brilliant record of your day. Chloe works tirelessly to capture the colours, sights and sounds enabling you to see and hear every little nuance from the unique story of your wedding day. This talented creative team produce the loveliest of wedding films and honest, heartfelt photography. What a wonderful way to capture precious memories of your special day. Drew & Tracy are wonderful storytellers, capturing raw emotional moments between bride and groom crafting together a real and personal wedding film for every couple. We could not adore this photography more, it's perfect - colourful, natural, of the moment - these are gorgeous memories captured in a fun and timeless fashion that you will utterly treasure for years to come after your wedding day. Mirrorbox Photography are a long term partner of Love My Dress. Their images are feminine and elegant in nature and we love sharing their photography on our blog. Tie the Knot Films capture all the authentic moments from your day to create the story of your wedding in a unique and natural way.